On Sunday 10th March over 100 of us descended on south east London to run the Vitality Big Half. For Danny, it was his first half marathon and for Conroy his first pacing Danny. Here’s the story behind his journey to reaching the finish line last weekend. When a plan comes together it’s all smiles. Danny reckoned that his first half marathon would take him 4 hours to complete, but how wrong was he? He completed it in 2h 11mins, which is amazing for a first ever race. 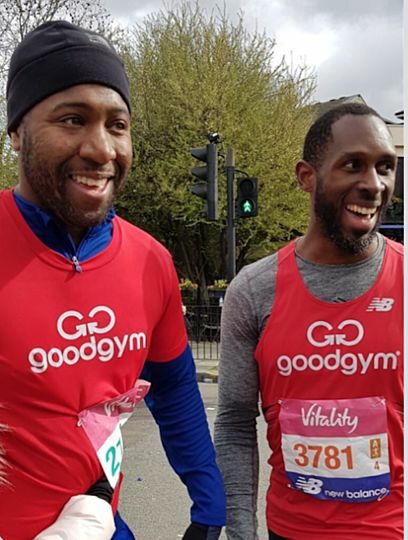 Danny started to go for runs three to four times per week in advance of the race, while enjoying the wide-variety of people he gets to meet through GoodGym. Conroy decided to pace Danny after becoming involved with his training. Although he initially signed up for the Big Half with the intention of beating his time from last year, he quickly put this aspiration to one side when Danny signed up. He knew when Danny said he would race that they wouldn’t have enough time to take him beyond 10 miles in training and he knew that on the day his biggest test would be once he had passed the 10 miles marker. "It was his first race and being involved in his training and knowing how daunting my first race a few years ago, I knew that having someone to talk with and help with my pace would make a big difference, Conroy says. “I knew he would complete it well in advance of 4 hours but it was his first ever event and he was being true to himself by setting a realistic time,” Conroy comments. 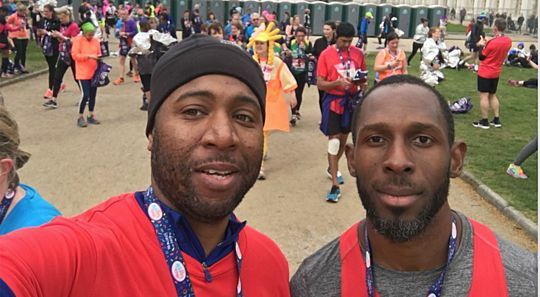 Danny's running journey started when he decided to take part in the Big Half. 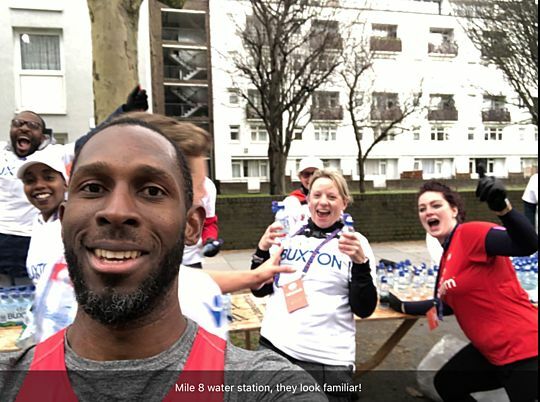 Lucky, when race day came around, the GoodGym community were on hand to support Danny and Conroy at the water station at Mile 8 and throughout the course. 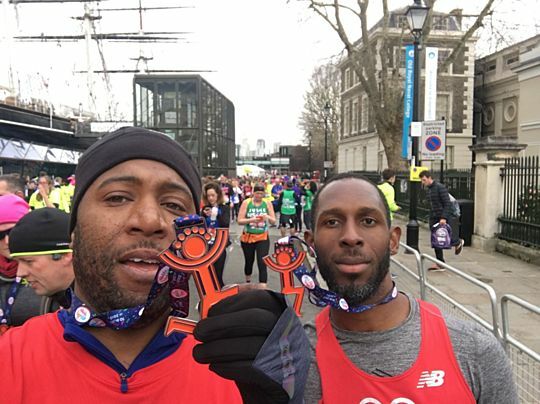 “Danny realised on the day how supportive the GoodGym Community is as he watched me high five and call out to the runners at the front of the pack who were on their loop back towards Tower Bridge,” Conroy says. 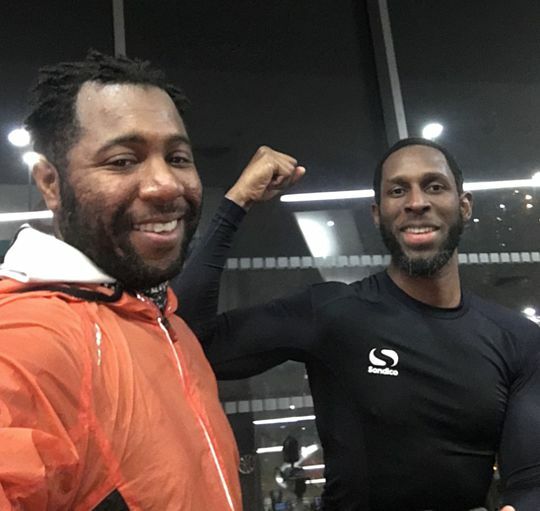 Conroy first learned about GoodGym in Marathon News and when he entered 2016 London Marathon where they mentioned the launch of GoodGym Lewisham. Both runners were proud to run through their hometown on the day of the race. "We are both from Lewisham. It was also a sightseeing tour for us as there are so many new developments we were both unaware of until we were running past them. ", Danny comments.